Approximately 180 g of glucose is filtered by the glomeruli every day in healthy adults and is excreted into the urine. Glucose excreted into urine is reabsorbed from the proximal renal tubules via SGLT. In diabetes, hyperglycemia is persistent, and expression of SGLT2 is increased compared with in healthy subjects. It has been demonstrated that reabsorption of glucose is enhanced. However, there is a threshold for the reabsorption of glucose by SGLT2, so glucose is excreted in the urine if the threshold is exceeded. 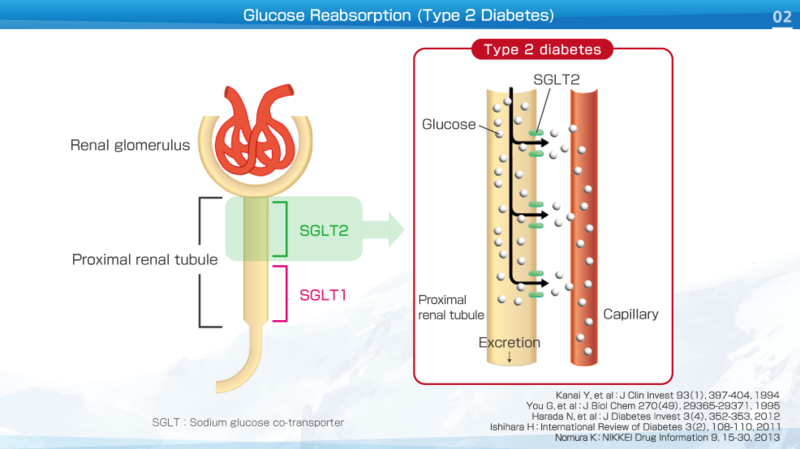 Lusefi®, an SGLT2 inhibitor, selectively targets SGLT2, which is responsible for 90% of glucose reabsorption by the kidneys. 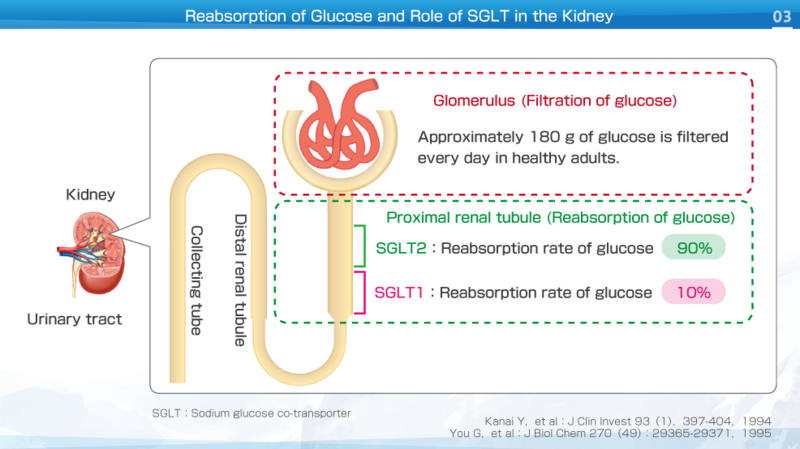 While SGLT2 accounts for 90% of glucose reabsorption by the kidneys, SGLT1 accounts for only 10% of the glucose reabsorption. 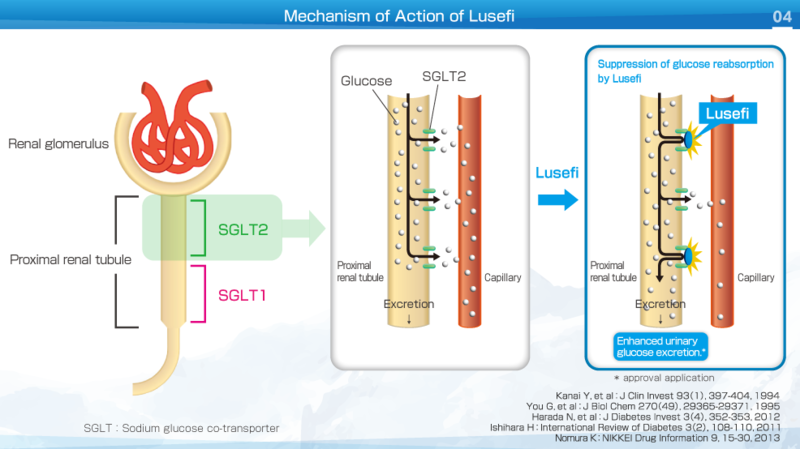 Lusefi®, an SGLT2 inhibitor, promotes urinary glucose excretion by preventing the reuptake of filtered glucose in the proximal tubules of the kidney, consequently lowering plasma glucose levels. SGLT2 inhibitors have an insulin-independent mechanism of action.